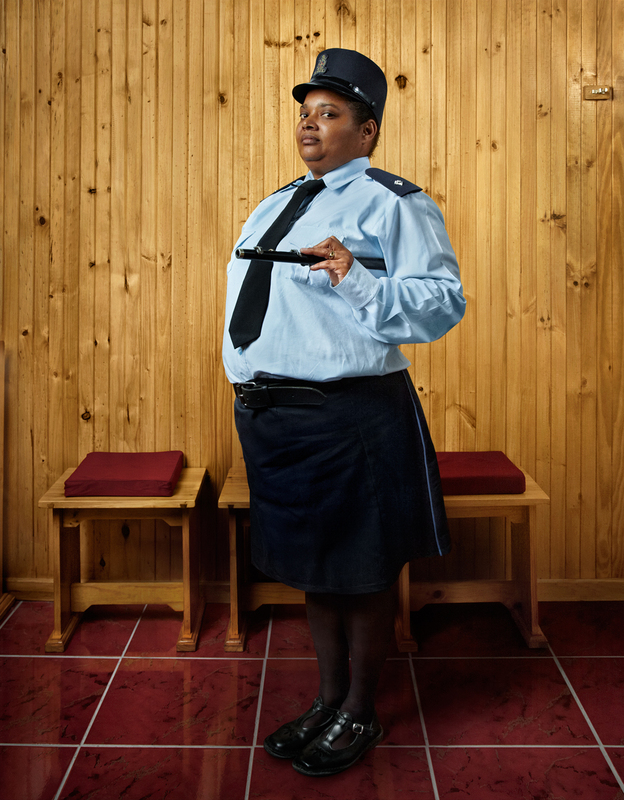 Ruthy Goes to Church is the second installment of Julia Gunther’s ongoing project, The Proud Women of Africa, a collection of short visual stories that portray the daily lives of remarkable women living or working in Africa. “Remarkable because they fought, survived, overcame or simply ignored the obstacles that life has thrown at them. Remarkable because they never gave up. All of the women in my pictures have suffered in some way: they’ve been ostracized by society, are desperately poor, or have experienced terrible injustice. But they are also all still proud. Proud of who they are, of their lives and the love they represent,” says Gunther. Ruthy was born and still lives in the infamous township of Manenberg, known for its high drug- and gang-related crime rate. 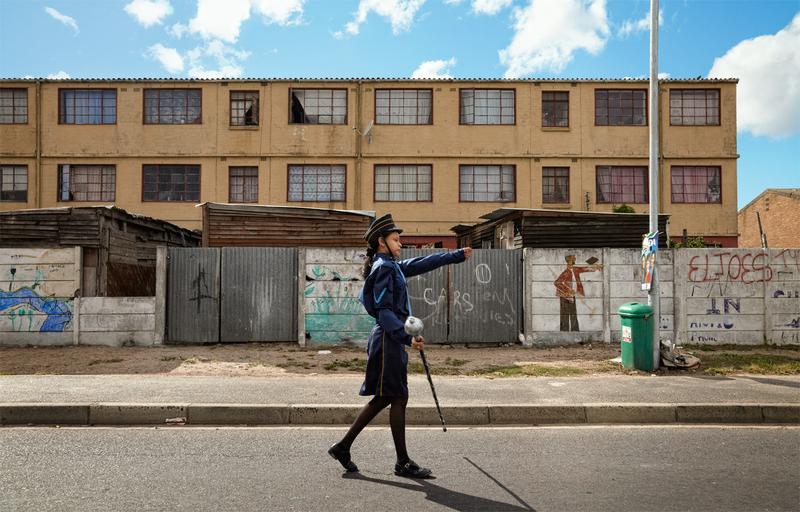 It is thanks to women like Ruthy that South African townships have not completely imploded and that the people of Manenberg can still be proud of where they live and of who they are. When she was fourteen years old, Ruthy was raped by a man who worked at her local swimming pool. 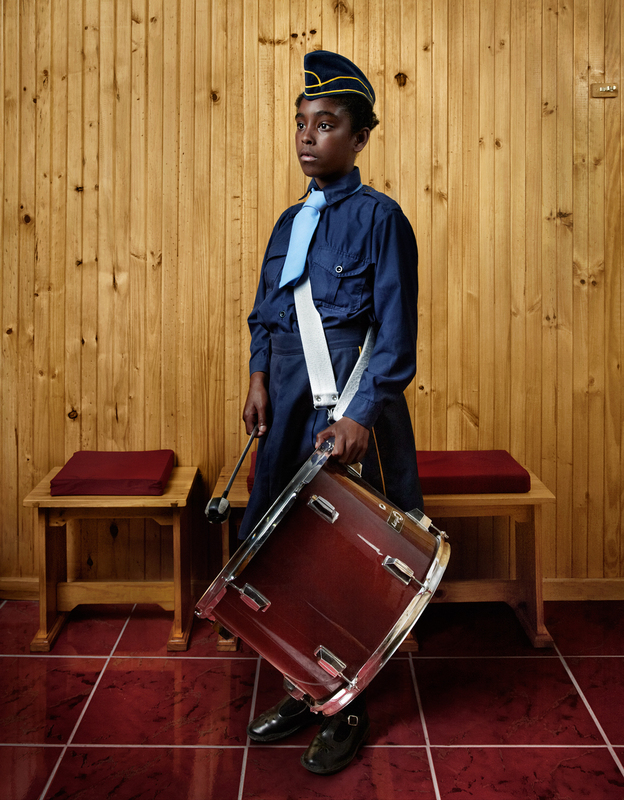 Pregnant and unable to finish her schooling, Ruthy returned to the Anglican Church in Manenberg, the place where she was baptized, and the one constant in her turbulent life. Here she feels safe, that her life has more meaning, and that she is able to help the new generation of Manenberg children cope with the demands of this often violent society. 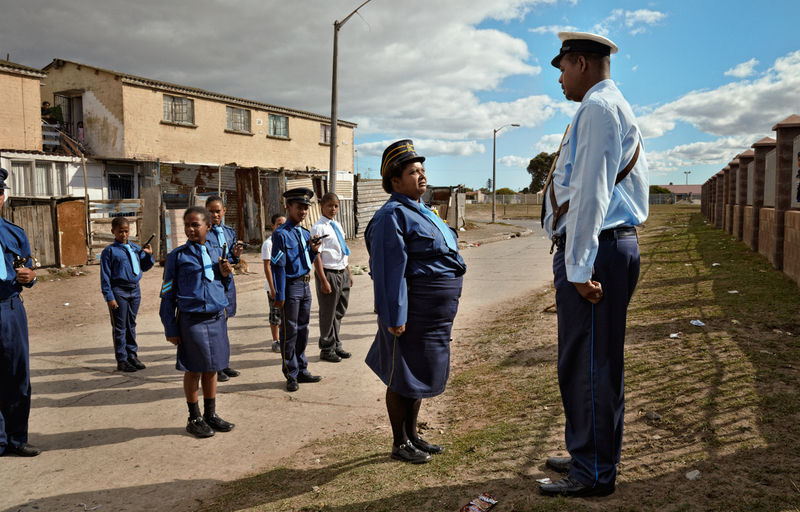 Manenberg may be famous for its drug-fueled gang violence. Yet in the middle of all this, there is a community that takes care of its children, keeps them off the streets, gives them a uniform, a musical instrument, and a strong bond of community. 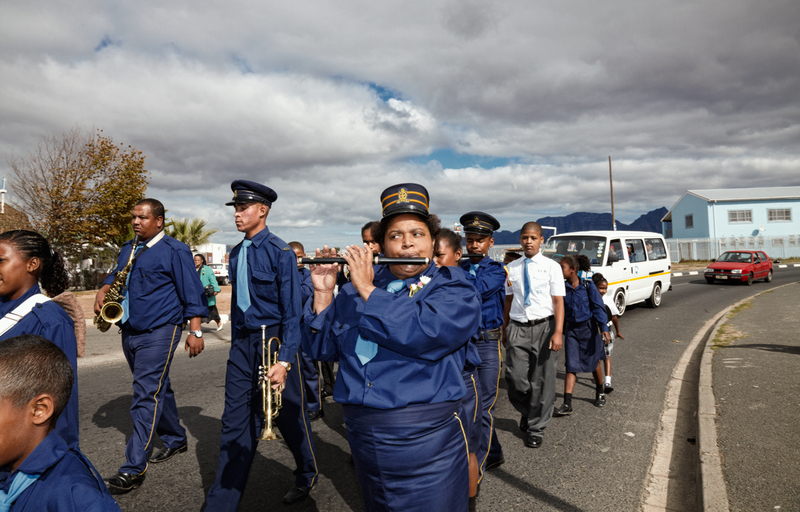 “In 2011, I returned to Cape Town to document Ruthy and her Anglican Church Brigade,” explains Gunther.